From the moment you enter The View Marquee the atmosphere will lend an air of excitement and expectation. Whilst The View is part of The 6 Acres famous Carvery & Dining Restaurant, this beautiful marquee is completely exclusive to you and your guests and offers the perfect ambience for one of the most elegant wedding venues in West Yorkshire. Your wedding day is a realisation of your dreams, and finding the right venue is essential. Here at The View, we offer a fully-lined marquee with elegant chandelier lighting, luxurious private cloakroom facilities, dance floor and a separate fully-fitted and serviced, modern bar area with stylish furniture. We have an extensive private outdoor decked area, ideal for photographs, and ample parking should you wish to leave your vehicles. The View Marquee is a blank canvas, with nothing but your imagination to hold you back. 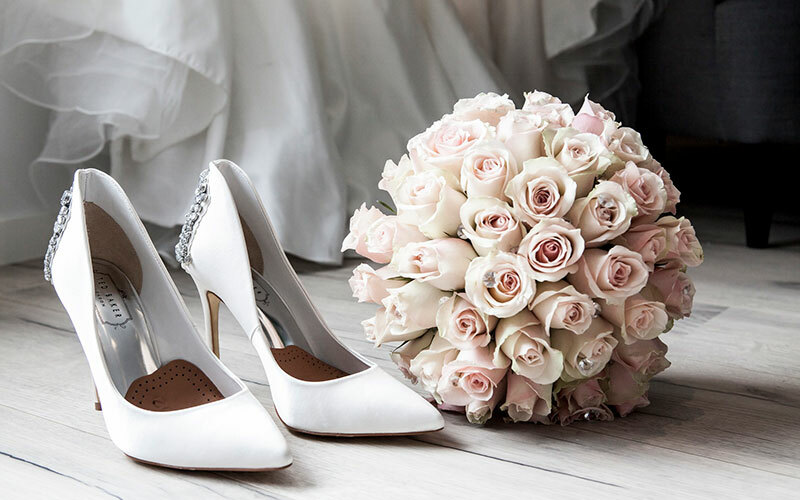 Let us help you design and plan the wedding day of your dreams, with our dedicated Wedding & Events Team on hand to help you every step of the way. We have years of experience and knowledge within the catering and hospitality industry and have built up a list of proven suppliers should you require recommendations. Only you and your guests in the marquee and outdoor area. Plenty of room for big weddings with all your family and friends. A luxurious, wood and brass finish bar with an extensive range. Astroturfed, with spectacular views and British sunshine! A dedicated wedding planner and master of ceremonies. Chandeliers, chair covers and ivory lining - the rest is up to you. It may be cold outside but it's always cosy inside our marquee. Room for 400 guests inside and space for all of their cars. Two packages. One amazing day. Our promise to you is one of a truly memorable experience. One that will last a lifetime. We have thought about every aspect of your wedding and have designed two wedding packages with you in mind. We offer an all inclusive wedding package with "no hidden charges" or a basic marquee hire package for you to build your own bespoke wedding package. The View is independently owned so we have more flexibility than other venues to tailor packages to meet your exact needs. All of our menus are prepared by our executive chef with fresh locally sourced ingredients. We will provide you with your own dedicated wedding planner who will look after you every step of the way, from your initial booking through to the finer details on the day itself. We also have a strict policy of only hosting one wedding per day. The 6 Acres is licensed for Civil Ceremonies, and you have the option of holding your ceremony in our stunning marquee with its luxury ivory linings and chandelier lighting, or for a more intimate ceremony we have the Lawrence Suite over in The 6 Acres, saving the big reveal of the marquee for your guests once you are ready to sit down for the wedding breakfast! If you are thinking of holding a civil ceremony at The 6 Acres and have set a date for your wedding, please contact us to check availability. If you decide to go ahead we will hold your date provisionally for up to 2 weeks while you contact the local Register Office to check that your date is available with them. The fees for the registrar are set by the local authority and are directly payable to Bradford & Keighley Register Office. Details are available on 01274 432 151.